Mindfulness is the process of being aware of your current experiences in the moment. Often times our mind wanders to what we need to do next and we miss what is happening in the now. 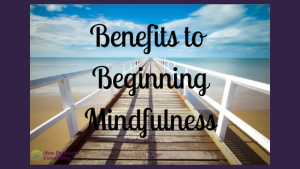 There are countless benefits of mindfulness and two of the most rewarding are stress reduction and enhanced decision-making. You can begin to reap these rewards by implementing two simple tools – today.